and all donations are tax deductible. The organization's tax identification number is maintained and available upon request through the Mother Chapter Executive Board. 2009 The Untouchables Motorcycle Club, Inc. 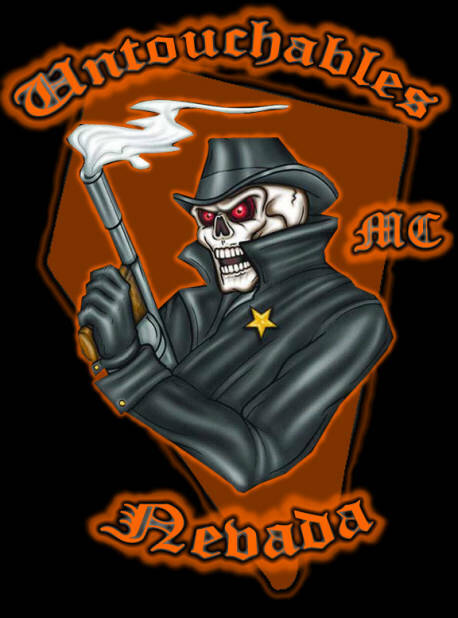 The name "Untouchables Motorcycle Club" and the images contained in this website are registered trademarks of the Untouchables Motorcycle Club, Inc. with the U.S. Patent and Trademark Office. Unauthorized representation or use will result in criminal and civil prosecution.